I loved school…really…loved it…everything about it…so it’s no big surprise that I chose to teach. My other option would have been to just stay in school…just take classes year after year..like Ignatius J. Riley (google). Except for the god-awful hat and his propensity for Lucky Dogs (just….ewww…I live here and I can say that), he was kinda my hero. I took a Poe class in grad school and had to write a 20 page paper on The Fall of the House Of Usher (and not not counting all those extraneous pages like the title and bibliography and such)…20 pages….on a 7 page short story…before the internet and wikipedia. I know everything about the Ushers now…ask me anything…and if I don’t know, I’ll make something up and make it sound like symbolism (that’s how I got A’s in all my lit classes 🙂 In short, Roderick’s crackers (that’s a technical term we non lit majors use). He and his sister Madeline are the last of a wealthy line of Ushers and live alone in a creepy mansion in the early 1800’s. SPOILER ALERT! A friend comes to cheer Rod up, they read books and poetry, play music, bury the sister alive…nothing works…you just can’t cheer crack pots up. 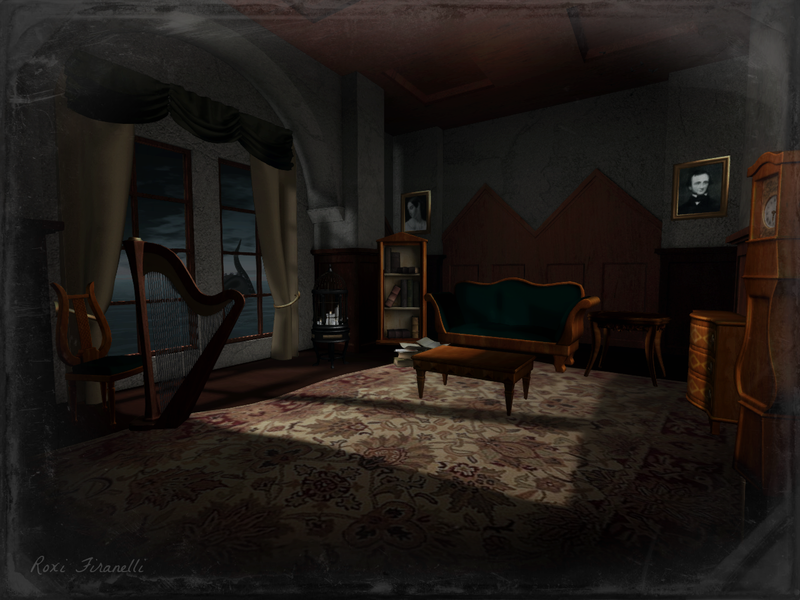 The House of Usher (Post-94496) - [O.L.D.] Old London Docks - Best Second Life Fashion & Lifestyle Blog Feeds!